Filipinos love rice because it is a staple food on our dining table. 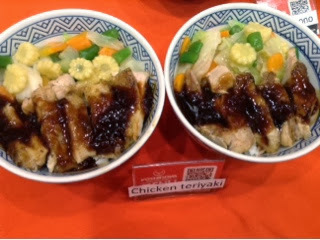 It is apparent that Japanese foods has invaded the Philippine foodie scene and it sort of piqued the interest of the public. We've got ramen noodle houses, Takoyaki kiosks, establishments with Tonkatsu as specialty, sushi and sashimi and of course, for a rice loving nation, there's Gyudon bowls. 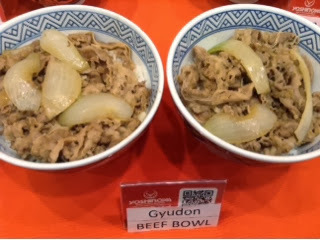 Gyudon bowls are beef bowls of rice with thin beef strips as toppings. 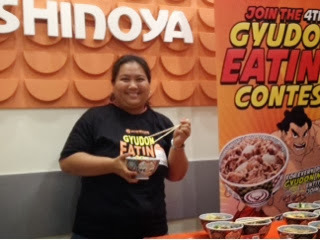 Filipinos had their first taste of Gyudon bowls through Yoshinoya. In 2001, Yoshinoya brought these awesome Gyudon bowls from Japan to the Philippine shore by opening their first branch at SM Megamall. 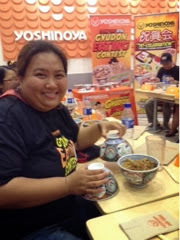 Since then, there's no stopping Yoshinoya from bringing the fantastic goodness of Gyudon bowls to Filipinos. 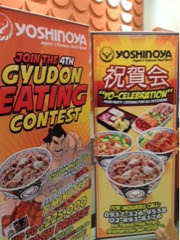 If you love Yoshinoya's Gyudon, then you shouldn't dare miss the 4th Yoshinoya Gyudon Eating Challenge Contest this year! 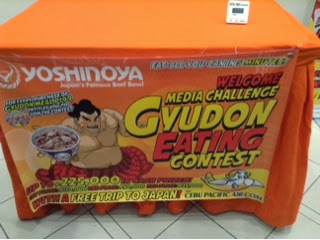 If you've been reading my food blog, you'd probably know that I was able to join last year's Yoshinoya Gyudon Eating Contest for Media category elimination. It was an unforgettable experience and I had a lot of fun. This year, I was surprised to have been invited again to join the media category elimination. Although I conceded early on, I was happy to binge on my favorite Gyudon bowls from Yoshinoya. Eating bowls of Gyudon one after another in less than fifteen minutes instantly satiated my hungry tummy. It was a great carbo-loading experience. 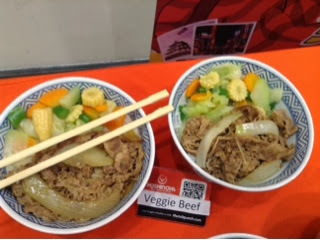 Yoshinoya, Japan's famous beef bowls, has been synonymous with their special gyudon bowls--a dish served on rice bowl, beef strips and onions in an enticingly mild sweet sauce with fish, seaweed stock and sweet rice wine. Although eating Yoshinoya's delicious gyudon bowl is a delightful treat. Eating them during the Yoshinoya Gyudon Eating Challenge is no small feat. It may seem easy because you just need to wolf down on bowls of gyudon but based on my personal experience, it is far from being easy. That's why I really take my hats off and I salute those who were able to conquer the Yoshinoya Gyudon Eating Challenge and emerged as winners. 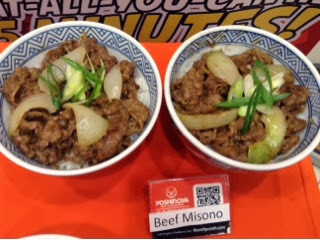 The 4th Yoshinoya Gyudon Eating Challenge is an eating competition that will challenge Yoshinoya's loyal gyudon aficionados on how much gyudon they can consume within a specific amount of time. Last year, fellow blogger Florencio Jusay Jr. won in the Media Challenge Category as bloggers happily cheered for him in the final round. 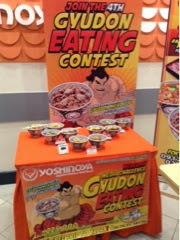 Do you have what it takes to become Yoshinoya's Gyudon Challenge Champion? Are you up for the great Yoshinoya Gyudon bowl challenge? The 4th Gyudon Eating Contest is open to males and females who are 18 years old and above. Qualifying Rounds will be held in all Yoshinoya stores daily from Monday thru Friday from April 21-May30. 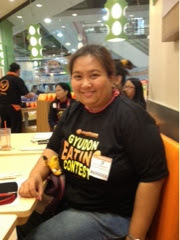 To join, a purchase of the Yoshinoya Gyudon meal entitles a customer to join the contest. 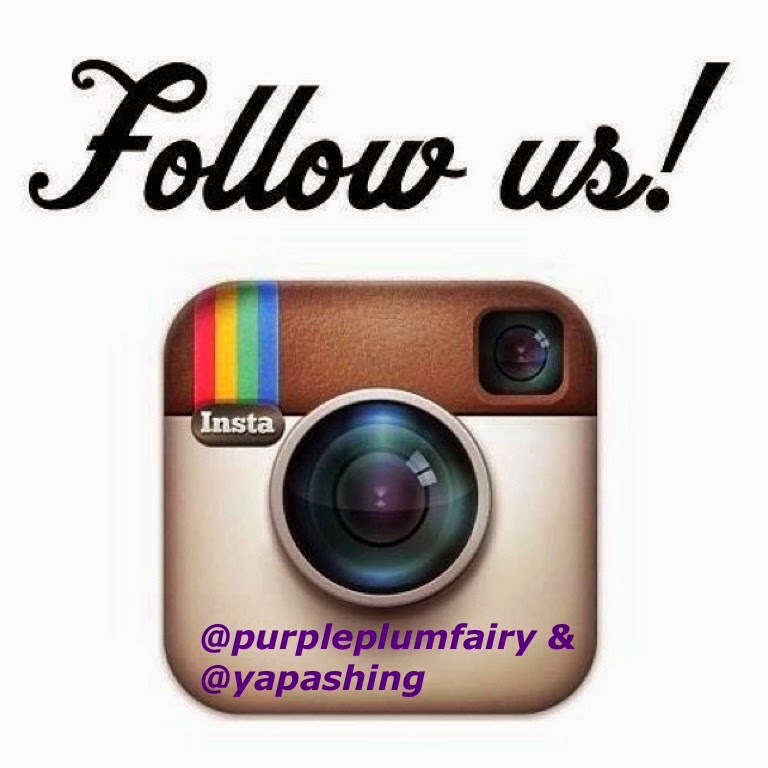 Take-out, deliveries, and bulk orders are not included. Before a customer starts, participant must fill out a Registration Form and sign a Health and Release Waiver. 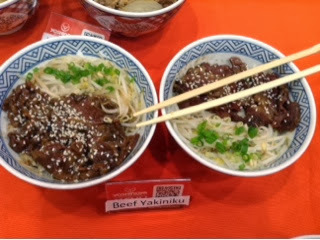 For the qualifying round the beef bowls should be consumed in the store. The customer who finishes the most number of bowls in 5 minutes wins the challenge of the day. Customer must show one valud ID to the store manager of Yoshinoya. 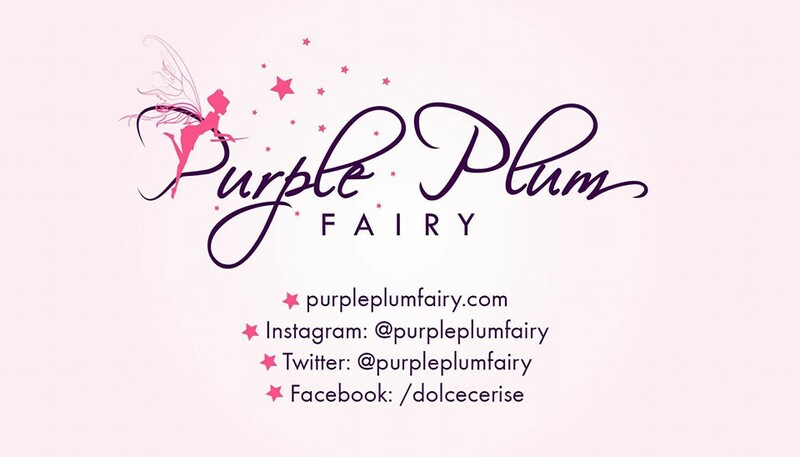 Only the following types of ID will be accepted: School ID, Company ID, Driver's License, SSS ID, GSIS ID, NBI Clearance, Postal ID, Voters ID, and Passport. 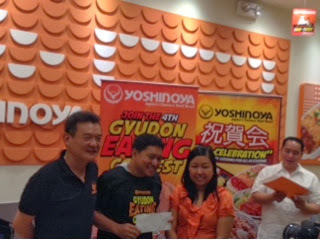 Non-winning finalists will be given consolation prizes of P2,000 worth of Yoshinoya GC each.